spider is upside down and backwards. It can't be, otherwise it would block the 2ndary. AFAIK, there is no reason to worry about offsetting the 2ndary for visual. And the only reason to do it for AP is to make the light cone concentric with the OTA. Correct me if I'm wrong on the latter. The previous owner made this really nice rotating ring assembly but unfortunately threw out all the original parts to mount the tube to mount, so I can't return the scope to original. The original parts were just metal straps. Still hoping to buy a DS-16 EQ mounted,mostly for visual use. AND build a modest observatory this summer. My DS-16 was indeed that way. In fact, the secondary mirror had a beveled edge around the circumference of the coated face, so the optical diameter was perhaps 1/4" (or thereabouts) smaller than the full diameter of the glass, which I think was nominally 4.0 inches. The full diameter of the primary was not seen from the focal point. That secondary mirror had a coating problem. I was able to exchange it for another, and the replacement did not have the edge chamfered. My recollection is that I could barely see the full 16" of primary from the focal point with the new, unbeveled secondary, and it was at that time that I decided to move the secondary and the focuser further away from the primary. There is a 16" on CL right now. Ohio, I think. The next time a DS-16 becomes available locally I'm going to buy it. Edited by actionhac, 27 April 2015 - 10:34 PM. I used to own a DS-10. I enjoyed the views it gave me of DSO's it gave me until the day I separated my shoulder and lost a lot of strength in my left arm and found out I no longer could set it up. Let's clarify. The same thing over and over again. Edited by starman876, 12 August 2017 - 07:13 PM. I purchased a local DS-16 and I'm excited. It's big, I mean really BIG. primary, the coatings look odd, tea colored, or yellowed, in appears to have enhanced coatings. 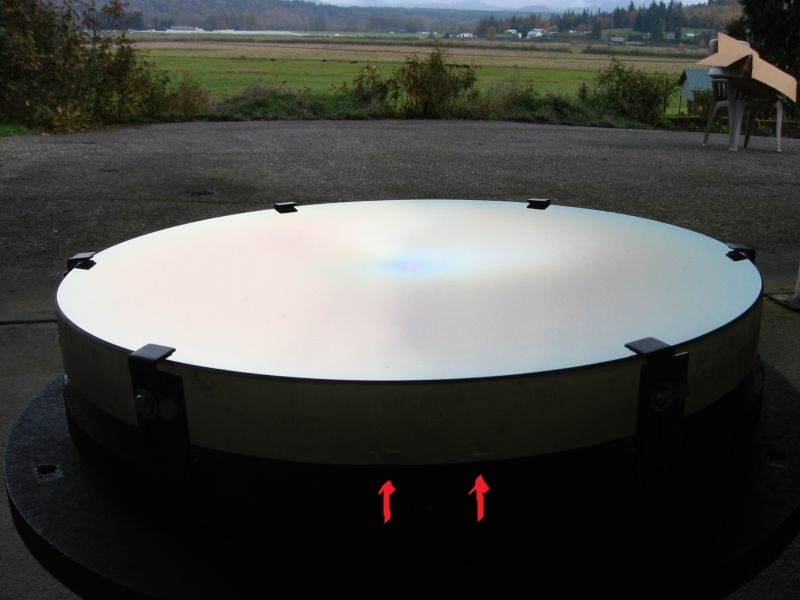 Lumicon sold primary mirrors, it may be one of theres and not a Meade mirror. had a couple both were decent. And yes BIG! Equatorial or DOB? 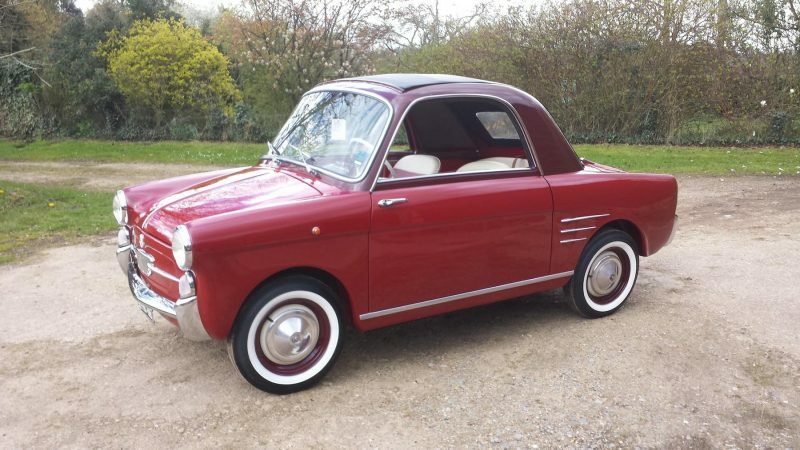 This one is the original equatorial with drive, It's really a time capsule from the mid 80's it's in perfect condition. 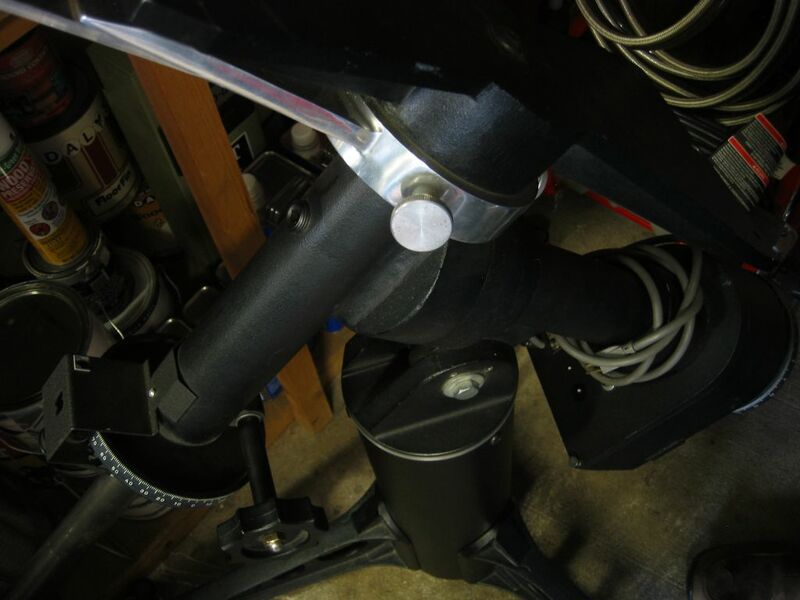 I'm going to put the OTA on my 2 inch shaft Star-Liner eq because the Meade mounting is a little stiff, old grease. I'll center dot the primary to take advantage of my modern collimation tools. And then I'm going to unleash this 16 incher on the winter universe, nurse Mendy, you got that defibrillator ready? It’s a light bucket for sure. The last one I had, had the Parallax rotating rings which were a blessing! Is this the original blue solid tube thick paper OTA on the short 1.5" GEM with three counterweights? You know the rules - PICTURES. I'll try and get some pictures soon. days looking over the parts I think I've bonded with the BIG girl. ...or as we 'lovingly' referred to them at the time: Diebel Specials. 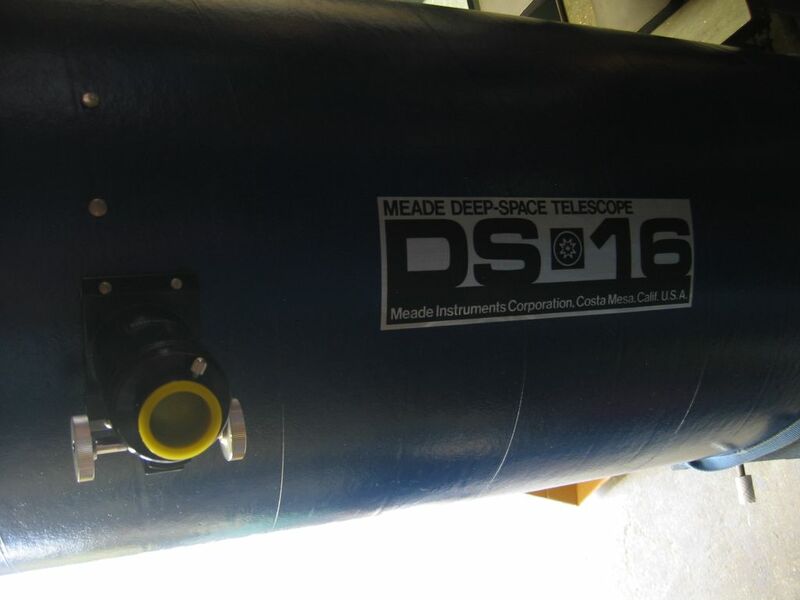 I am still the original owner of a Meade DS16A, so if you need any of the manuals, I can copy and get them to you. 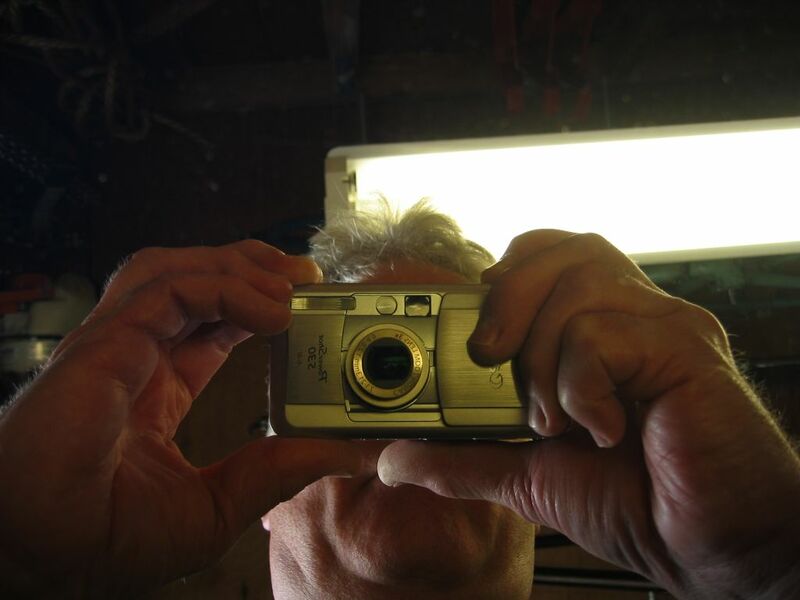 My original mirror was not very good, so out it came and sent to Galaxy Optics for re-figuring and re-coating, along with downsizing the secondary to 3.1". Now a great performer. I tried to capture the coating, you can see the rainbow of color. Head-on there is a slight yellow tint, and its blotchy. Edited by rolo, 24 October 2018 - 06:34 PM. Coma city kitty. Better call on a Paracorr. Actually, it was excellent on axis and very good with Naglers. At least a Parracorr could improve it which is more than I can say for you . few today. my wife can help me haul dem bones outside for better pictures soon. 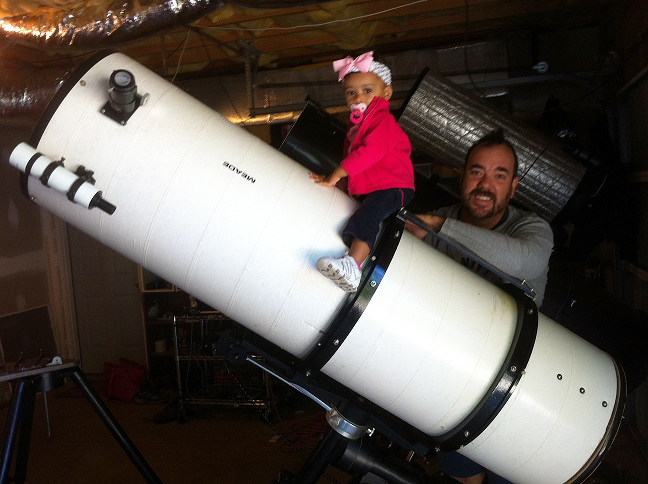 and the mounting get used for large refractors. in a Honda! its really not as big as it looks. I picked one of those blue version up in Chattanooga many years ago. Yours looks like it’s been well cared for too. Make sure you give it plenty of time to cool before going to high mags. You got yourself a nice light bucket! Edited by rolo, 24 October 2018 - 08:41 PM. strictly curious< could you weigh just the OTA, what you would pick up to put on the mount. You'll need a bathroom scale, those usually hit the 300lb capability though it shouldn't be that much. At the time i used one there was no Paracorr and Nags were still pretty rare blare.